Nottinghamshire YMCA and Nottingham Contemporary partnership. Gillian collaborated with lens artist Ben Harriott on Interconnect, an Arts Council funded project to develop an identity for the new training area of the YMCA homeless hostel in Nottingham City Centre, by developing artistic interventions and artworks with the hostel community. The artists worked closely with hostel residents and staff with a series of eight creative sessions and a sharing event at Nottingham Contemporary. The artistic intention was to make the everyday extraordinary, recognising and highlighting the different experiences, backgrounds and cultures of the residents who participated. 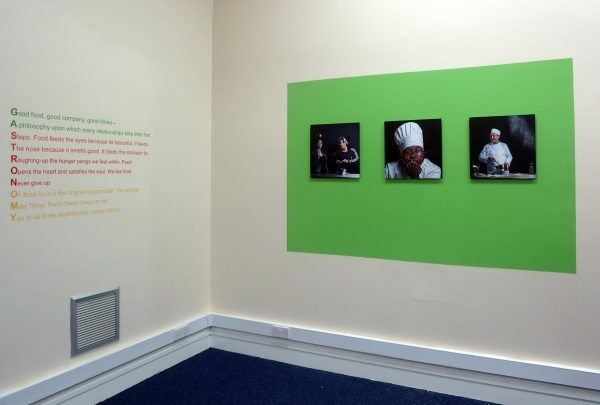 As the training room includes a training kitchen we used food and cooking as a theme to engage residents in presenting themselves on their own terms to create a series of photographic images. It was a performative process with the participants telling stories through their actions and use of props. 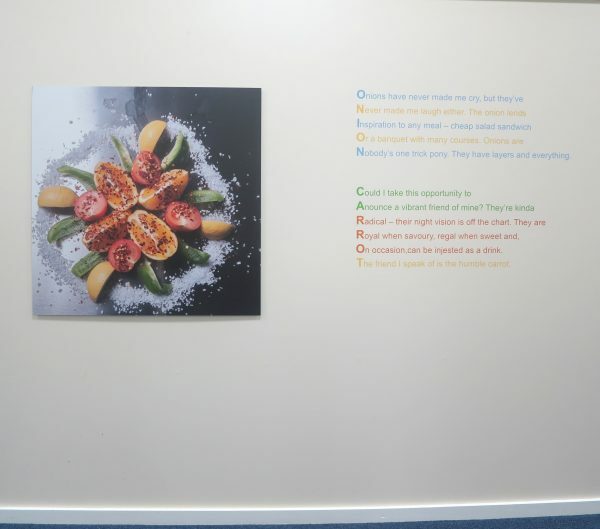 Images, wall poetry, screens and other interventions were installed in the training area, general lounge and residents’ kitchen of the hostel to create a welcoming atmosphere and inspire the hostel community to actively engage with the arts as well as with the other training opportunities offered. The project seeked to promote the arts as a vehicle for change and inspire local voluntary organisations (especially those working with the homeless) to engage with arts projects and with organisations such as Nottingham Contemporary in the future.